Remember how you were taught to leave a paper trail for virtually everything you did? You may think that in the digital age, paper trails are an obsolete concept but don’t underestimate your digital footprint. What is a digital footprint? It’s basically a version of a paper trail, but online only. Want to track your digital footprint online for free? We have just the thing for you! So, what is a digital footprint and why is it important? The definition basically means that your digital footprint comprises every email you’ve ever sent, every post you’ve shared on social media, or every picture you’ve taken and uploaded on Instagram. You know what they say about the internet: once it’s online, it can never be completely erased. In fact, it also contains everything you aren’t aware you’re doing online. For instance, every time you agree to let a website store your cookies and digital information or your IP address gets stored somewhere, you’re adding to your digital footprint. And since it cannot be erased, you have to ensure that whatever you send out to the virtual universe represents you in the best light possible. Why? Mostly because this information is being collected by everyone - from your favorite one-click-addiction platform (shoutout to ASOS! ), to potential future employers and of course your friends and family. To put things in perspective, your digital footprint can be used to paint a picture of your profile online. This includes your demographic details, political and religious beliefs as well as interests. This data can later be used for targeted advertising. It is for this reason that if you look at say, a bag online you get the feeling that the bag is “following” you across the internet. That brings us to the next question. How does this apply to companies? Everything posted from your company’s social media accounts will always stay online and will be a reflection of the image your company projects. But more than anything else, your digital footprint can be the biggest free channel at your disposal that you can use to connect with your audience, and control the image of your company. But how do you go about it? Should you stay connected and monitor what you’re saying online or keep browsing your history to check whether everything is in order? That could be one way of going about things, but the most efficient thing to do would be to pull up only the most relevant mentions - i.e., what people are saying about you - and to keep an eye on your brand using those mentions. We, at Talkwalker do just this, using our free tool - Talkwalker Alerts, which delivers the most important and relevant conversations from across the internet, as well as social networks like Twitter, to your inbox. Let’s start from the beginning - what is Talkwalker Alerts? It’s our in-house alerting system which works much the same way as Google Alerts, but is in fact, much better since it brings results from social channels such as Twitter, Reddit etc. The best part about it is that it is a completely free tool. We use the tool in-house to track our digital footprint and also protect it. The principle on which it works is simple. Talkwalker Alerts brings the most relevant conversations on the internet about your brand/topic to your inbox. It takes just a few minutes to skim through these results and see which ones require you to respond and which ones don't. Your digital footprint is comprised of each of the results in your Alerts. How do you set up alerts? Step 1: Choose a topic to set up an alert for and type it into our alerts search bar. See in the picture below. Step 2: You can enter any email address you choose, where you would like to receive your alerts. 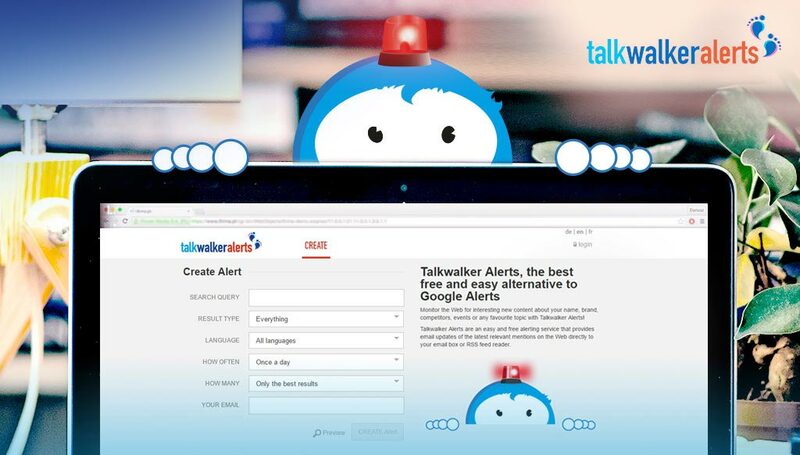 Unlike Google Alerts (linked to your Google account), you can receive your Talkwalker Alerts at any email address you wish to use. Step 3: You can pick the category or type of sources you would like to receive alerts from: news, Twitter, blogs or discussion forums. I’ve chosen news and Twitter. Step 4: You can pick any language to receive your alerts from. In the screenshot below- it is French. We offer Talkwalker Alerts in 22 different languages. Step 5: Select how often you would like to receive alerts in your inbox. I’ve chosen “As it happens” because I like to use it to keep an eye on Twitter results in near real-time. Step 6: Choose whether you’d like to keep an eye on all mentions of your favorite topic on the internet or just the results with the highest engagement. I’ve chosen “Only the best results” since I selected “As it happens” in the previous step. If I choose “As it happens” and “All results” for the same query, then I’ll flood my inbox during the day. This feature is comes in handy in a communication/PR crisis situation. Step 7: Get a sneak peek of your results using our preview feature. Now that you’re all set to track your digital footprint... what next? Once you starting receiving alerts based on your search query, you’re all set to track, monitor and shape your digital footprint the way you like. 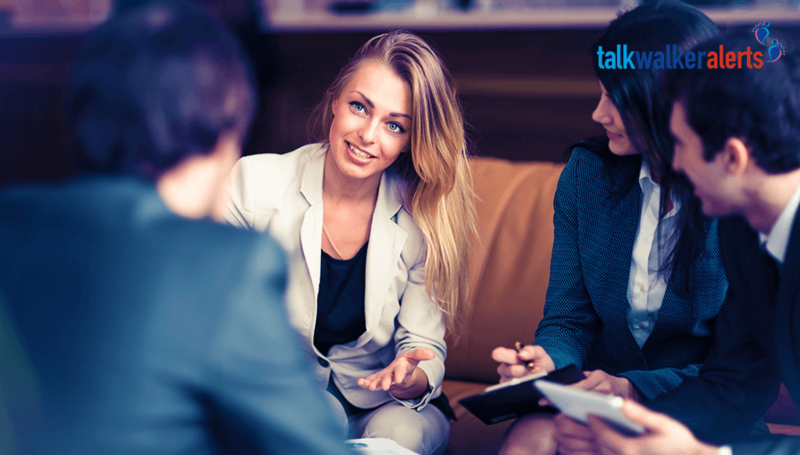 There are many ways to do this but the process we follow at Talkwalker is quite straightforward and gets the job done. SEO/backlinks: You’re more likely to get mentions from the same industry than not. Plus, if they’re from websites with a high domain authority, it makes sense to reach out to them and ask them to link to your website. We also reach out to people from our industry and ask for backlinks when their content is similar to something we’ve published on our blog. Potential influencers: This category is the one which has the potential to be the most impactful for your digital footprint. It helps you locate mentions from people who can potentially become influencers or ambassadors for your brand. It’s best to reach out to them if they’ve already mentioned your brand or service since it indicates that they are aware of the product. More often than not, it is hard to connect with influencers, reaching out to them when they have just mentioned your product or service could really work in your favor - it’s definitely helped us with our influencer marketing efforts. Response needed: This is the category we reserve for mentions (especially from social media) that warrant a response. They may be positive or negative - but it’s crucial to respond to them in order to manage your digital footprint. As we know - a large part of your digital footprint comes from what is being said about you online. Moreover, responding in the right manner could exponentially increase the size of your digital footprint. Others/comments: Sometimes mentions are not straightforward and can be hard to categorize. For instance, you could get content ideas from certain mentions or find new prospects for social selling. However, since they’re more an exception than the norm, we put them in the “others” category. What is the impact of tracking our digital footprint? Now that you know how to track your digital footprint, it’s important to understand the value of doing so. Why go through so much effort if you’re not sure it’s paying off? Increase in number of organic mentions: When we first set up an alert for one of our free products, we saw some mentions coming in two to three times a week. However, after regularly reaching out for backlinks and mentions from influencers, we now see a few mentions coming in every day. That’s a 200% increase in mentions simply because we’ve been able to structure our outreach better with a free tool! The biggest benefit of this is that it’s helped immensely with our SEO and organic rankings. Social monitoring: Tracking your mentions and PR can be a nightmare. Moreover, it could mean that you need to be connected all the time. But with Talkwalker Alerts, you have a free tool at your disposal that helps you make an inventory of what’s being said about you. This also means you have a tool that indicates whether you need to worry about something and pull out the big guns. Engaging with your audience at the right time: Nothing compares to engaging with your audience at the right time. Whether it's customer complaints or simply shoutouts on social media, responding while it’s actually being spoken about means you can strike while the iron is hot. It's also a great way to control what is being said about you. Tracking competition: Last but definitely not the least, your digital footprint is inherently linked to that of your competitors'. Therefore, it’s always a great idea to set up an alert for the competition so you can jump into a conversation at the right moment. It’s also useful to track your competition to understand their strategy on social media and plan your own accordingly so that you have strong counter measures. Social selling: Social selling has been a buzzword for a few years now. Find a prospect on social media, engage with them and convert your real-time conversation into a sales pitch. Sounds easy, right? But it absolutely is not. 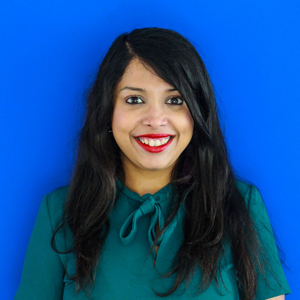 Finding and targeting the right people on social media can be extremely hard. Additionally, it’s also quite complicated to strike the right balance between friendly and pushy. Setting up a Talkwalker Alert for keywords that indicate a need for your product can bring up all the relevant conversations from Twitter that could be converted into leads. Once you have only the most relevant conversations in your inbox, it’s way more simple to have the right conversations with the right people. What other tools should you use to track your digital footprint? Talkwalker Analytics is our 360 degree platform which makes tracking your presence on the internet extremely simple. Moreover, it's a versatile tool that can bring you results in 187 different languages and covers all major social networks. In the event of a PR crisis, it can be configured to send alerts to your inbox so you’re aware of what is going on at every stage. The tool also offers a large number of in-depth reports that can help you analyze not just your online presence but your social ROI. SharedCount is a unique social media tool that allows you to measure how many times your website URL has been shared and how many times it’s been linked to on bookmarking sites. It solves a common problem, allowing marketers to trace how many times their website URL directly gets shared as opposed to just content. If you’re looking for a tool that provides real-time information and insights on your social mentions online, then NUVI is the right tool for this. Their patented BubbleStream technology makes tracing social conversations easy. Hootsuite is a tool that has the functionality of a social media scheduling tool and also allows you to analyze the performance of your social posts. This is in fact, the tool that we use at Talkwalker HQ because we find the functionality and the UI easy to navigate. Hootsuite also has a free plan that lets users manage up to 3 different social media accounts. This makes it an especially good solution if you’re a start-up. If you mainly use Twitter for your social activity, then TweetDeck is the right tool for you. 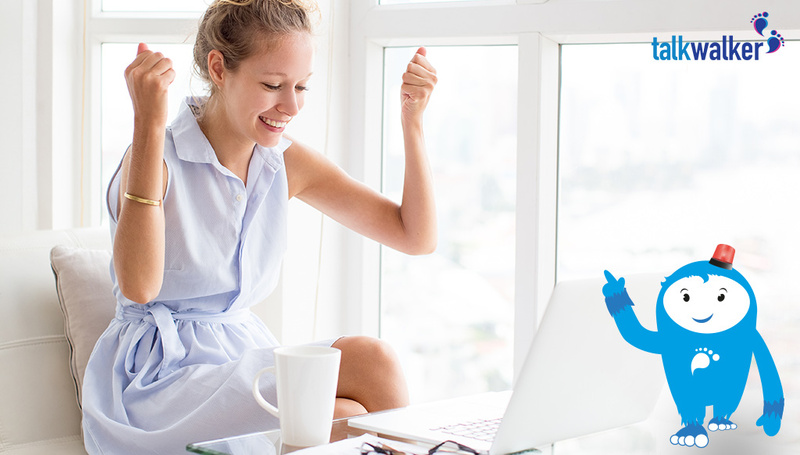 Not only does it help with pre-scheduling tweets, it also helps you analyze your performance on social media. What’s more, you can directly tweet from TweetDeck, which makes it a pretty neat tool. Your digital footprint defines your online reputation and can be your biggest channel for reaching out to your clients. Therefore, it’s essential to keep a close eye on it and monitor what is being said about you online. At Talkwalker HQ, we use our free tool - Talkwalker Alerts to monitor and analyze our digital footprint. It's proved invaluable for our social media strategy.